For those of you who have no idea what I’m talking about, Stevia is a plant from the chrysanthemum family that is native to portions of north-eastern Paraguay. Stevia has been called the “miracle sweetener” and the “holy grail for the food industry” and it has been used to sweeten foods and beverages in both Paraguay and Brazil for hundreds of years where it was traditionally grown by the Guaranies. 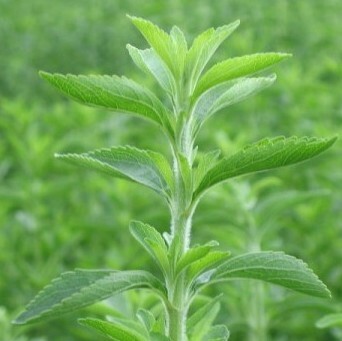 Stevia is now grown and harvested in South America and Asia. It has been particularly popular in Japan, representing over 40% of Japan’s sugar substitute market. You are probably thinking well, just another sweetener, but the big buzz about Stevia is that it has zero glycemic index, zero calories and zero carbs and its completely natural. This basically means that Stevia has the potential to revolutionize the food industry and nutrition as we know it today. Stevia has the potential to help with weight management, dental health, diabetes, obesity and potentially other problems associated with nutrition and health today. With an increasing demand for natural products, the food industry has found that Stevia might be the answer they were looking for. The FDA has already approved Stevia for consumption and companies like Coca-Cola, Danone and Merisant are looking at ways to replace sugar with Stevia in their products. British vitamin retail chain Holland & Barrett says it has witnessed a 50% sales rise for stevia products in the last four weeks, compared with the same period last year and Coca-Cola dared to alter the recipe for Sprite in the UK, re-launching a new Stevia-inspired version in March and claiming a 30% calorie reduction. 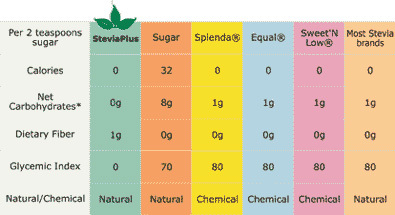 So far the main constrains for Stevia to replace sugar as a sweetener have been related to taste and price. The plant’s extracts have a strong after-taste, often compared to liquorice, and Stevia products are far more expensive than artificial sweeteners due mainly to low levels of production and the difficulties of obtaining the plant extract. Today the world’s main producers of compounds from stevia’s leaves are Malaysia’s PureCircle and U.S. agrigiant Cargill. I had the chance to work with PureCircle when they were starting to think about Paraguay as a production hub and recently participated in a round-table discussion with Cargill about Stevia. Both companies claim they produce in Paraguay and make you think that when you buy their products you are actually buying Stevia grown in Paraguay, which is far from true. Large scale production of Stevia in Paraguay is still very low despite many efforts to promote it, only 1,400 ha of Stevia are planted compared to 2.8 million ha of soybean. Most of the commercial Stevia today comes from China but the plant the Chinese use to produce Stevia is different from the one of Paraguay – which has raised issues about production quality – and their agricultural methods are very different from ours. The reality is that as of today, Paraguay hasn’t yet benefited from the worldwide boom of Stevia consumption and more needs to be done to address this issue. While there have been some efforts at the national level to promote Stevia cultivation in the country I argue a lot more could be done and we should be concentrating our efforts to turn Paraguay into a country known worldwide for its green, organic, niche production and not for being a soybean producer or for having gas and oil reserves as the government is now saying.